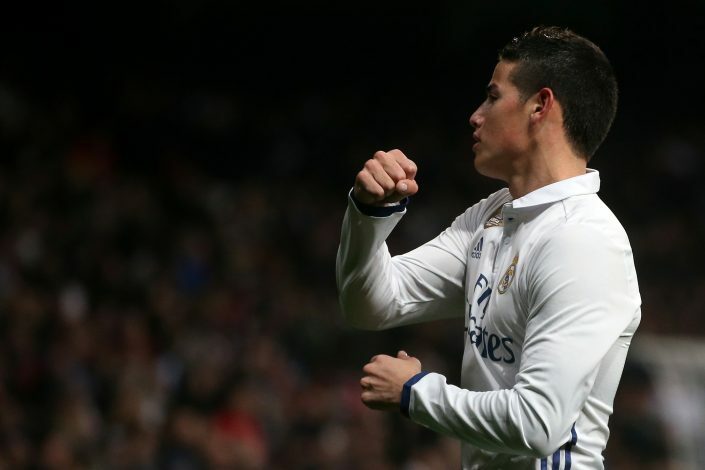 James Rodriguez is one of the hottest topics in the recent weeks due to his uncertain future at Real Madrid, and rumours of him staying or leaving are at an all time high. However, after the latest remarks given by his father and reported by Goal.com, there is a sense that the Colombian midfielder might just stay put under Zidane for the time being. With him being heavily linked with Juventus and especially Chelsea, Rodriguez has been the talk of the town off late. A player from Real Madrid is always a hot property for other teams, but the dust has been settled, at least for a while, by his father’s claim that James will not be leaving Real Madrid anytime soon. Despite struggling for game time at Madrid this season under Zidane, both his agent Jorge Mendes, and his dad Wilson, have admitted to the player giving his future to Real Madrid. Wilson was adamant on the fact that James will stay at Real Madrid for the time being. James has made a meagre 8 appearances this season, with only 4 of those being starts and the rest being off the bench. Since leaving Monaco in July 2014 in an €80m move, James has scores 27 goals in 94 appearances. A player of such class, with age and talent as key factors, will be a healthy grab for any opposition in world football, and only the window will suggest what happens to him and his footballing career.